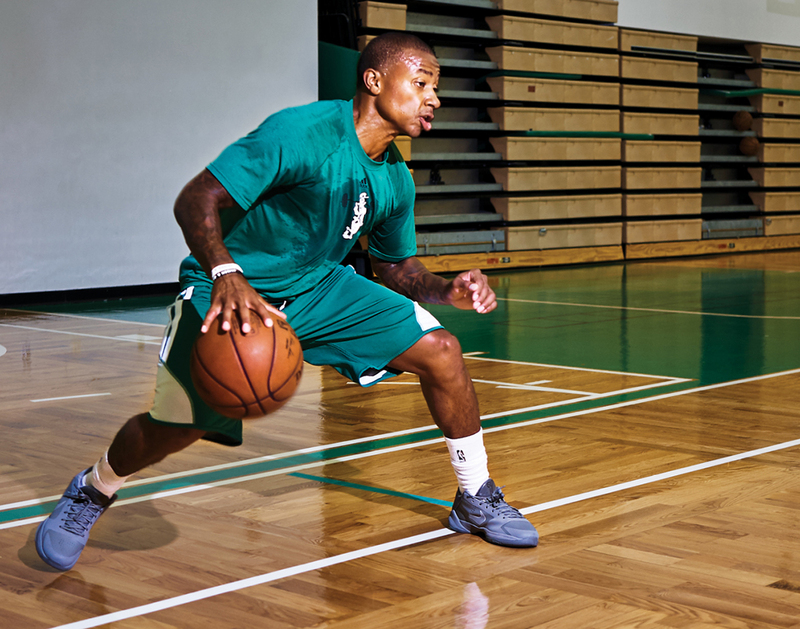 Isaiah Thomas started getting antsy just before dawn. Sports Illustrated had released its list of the top 100 NBA players the previous day, and the Celtics point guard had clocked in at number 45. Thomas knew he’d ranked a whopping 43 spots higher than he did the year before, but that was hardly the point. 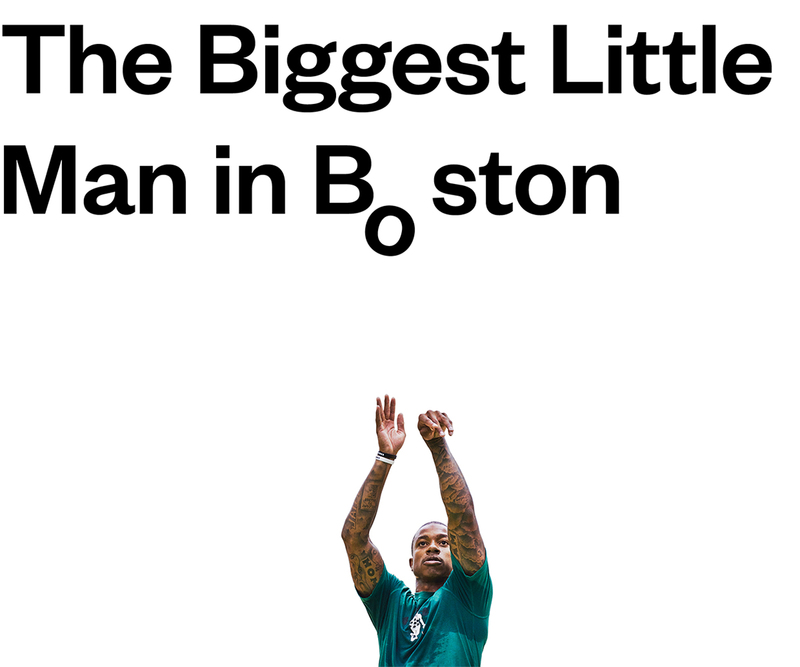 Standing barely 5-foot-9, the 27-year-old has been on a lifelong quest to prove to the basketball world—executives, coaches, teammates, sponsors, and the media—that his potential for greatness outweighs the reality of being a little guy in a big man’s world. So on Friday, September 16, during a balmy morning in Boston, he lashed out on Twitter. In reality, it’s remarkable that Thomas ranked as high as he did on the list. Since he entered the league as the very last pick in the 2011 draft, two struggling franchises, the Sacramento Kings and the Phoenix Suns, have traded him away. Even in Boston, despite leading the Celtics to the playoffs last season, becoming an All-Star for the first time, and scoring 22.2 points a game—11th highest in the league—he still struggles to shake his status as a glorified afterthought. It’s August, and Thomas has just spent the first morning of his two-day basketball camp picking on people closer to his own size: elementary, middle, and high school kids eager to learn from one of the few NBA players with whom they can see eye to eye. Inside the stuffy Reading Memorial High School gymnasium, his sweat-soaked kelly-green T-shirt conceals a tattoo of Mighty Mouse on his right biceps. Exhausted but smiling—Thomas is always smiling—he climbs into a chair that appears too big for him. As we talk, his gray Nikes dangle and sway above the ground. 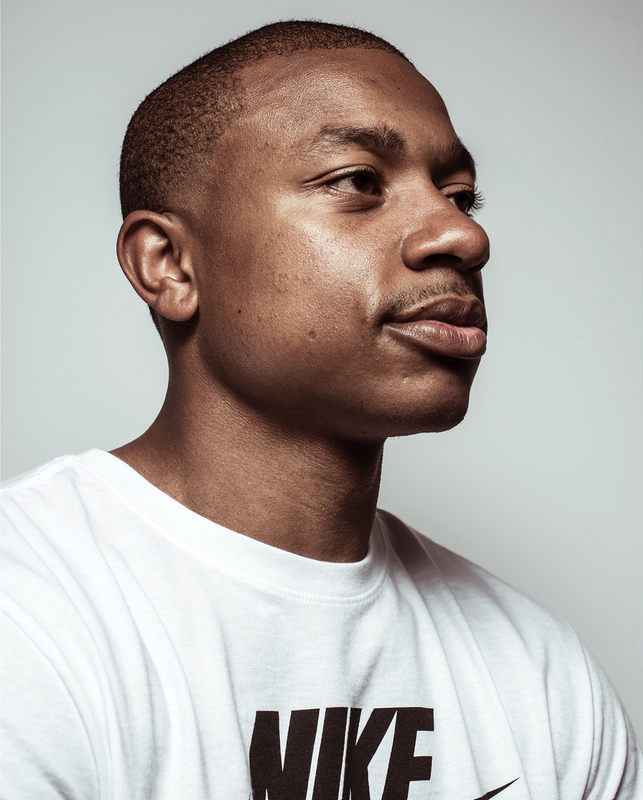 Given the blood spilled on the old Garden’s parquet floor during Celtics–Detroit Pistons clashes in the 1980s, it’s a minor miracle that Boston has fallen in love with a man named Isaiah Thomas. The story of why his parents named him after one of the Celtics’ most reviled nemeses goes something like this: James Thomas, a Los Angeles Lakers fan from Inglewood, California, bet a buddy that if the Pistons and their All-Star point guard Isiah Thomas defeated L.A. in the NBA Finals, he’d name his son after Thomas. On February 7, 1989, four months before the Pistons won their first championship, Tina Baldtrip gave birth to a boy. James and Tina, who separated early in their son’s life, can never be accused of going back on a bet—they honored the wager but chose to spell Isaiah the biblical way. Saddled with the name of a Hall of Famer, Thomas had a lot to live up to on the courts in Tacoma, Washington, where he grew up. Because of his size, he quickly learned the only way to earn respect was to dominate, and the only way to do that was to go for the jugular. Family friend Alonzo Weatherby, now Thomas’s business manager, says Isaiah gravitated toward playing against older, bigger kids, and always had something to prove. By the time Thomas was a junior in high school, he was averaging 31 points per game and had become a local celebrity. “It got out of hand,” says Weatherby, who remembers Thomas getting mobbed by fans at a local mall. Unfortunately for Thomas, his success on the court didn’t carry over to the classroom. If he wanted to be eligible to play college ball, he needed to improve his grades. So in November 2006 he boarded a cross-country flight to rural Connecticut, where he attended the all-boys South Kent School. Needing to repeat his senior year and living apart from family for the first time, Thomas says it was one of the most difficult times in his life. Fortunately, he was used to overcoming doubts—including his own. The first thing Thomas recalls after arriving in Connecticut was that his cell-phone service cut out. He knew he needed to be there to boost his grades but wondered if he’d made a mistake. “Back then I hated it,” he says, “but it was the best thing that’s happened for me. It made me grow up.” He managed to stick it out for two years by reminding himself that it was the only way he’d ever get to college, and if he couldn’t do that, he’d have no shot at making the NBA. After graduating from South Kent in the spring of 2008, Thomas was finally ready to enroll at the University of Washington. During three seasons with the Huskies, he averaged an impressive 16.4 points per game. He capped his college career by sinking a buzzer-beating fadeaway jump shot to give his team a Pacific-10 Tournament championship. At that moment, Thomas felt ready to turn pro. The question was whether the NBA agreed. A handful of players shorter than 6 feet have thrived in the pros—Calvin Murphy at 5-foot-9, Spud Webb at 5-foot-7, and even Tyrone “Muggsy” Bogues at a mere 5-foot-3 all come to mind. Still, NBA scouts weren’t terribly excited about Thomas, an underclassman whose physical attributes didn’t exactly scream sure thing. Experts predicted a team might draft him late in the second round. Even if someone did take a chance on him, though, a roster spot wasn’t guaranteed. 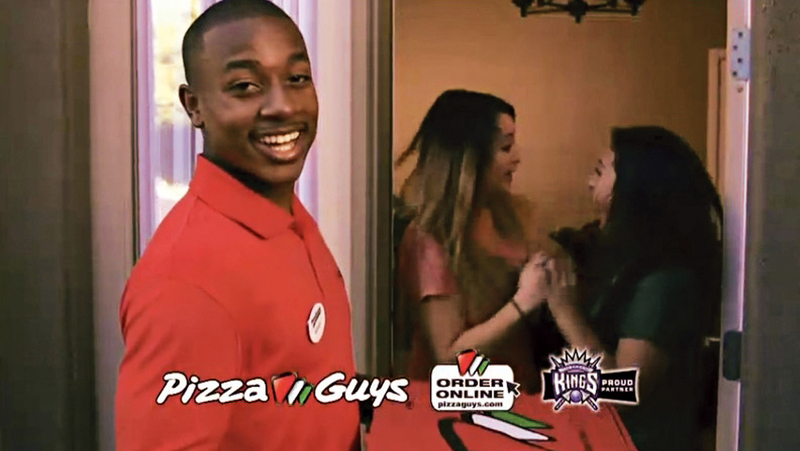 Before joining the Celtics, Thomas gained notice for his Pizza Guys ads in California. Unlike James’s rookie $90 million contract with Nike, Thomas’s Pizza Guys deal didn’t shoot him to the top of any Forbes lists, but the ads helped make Thomas a cult favorite. Opponents began yelling, “What’s up, Pizza Guy?” and Thomas says All-Star center Dwight Howard even approached him and mentioned the ads. His days as the Pizza Guy, though, were numbered. As part of a sign-and-trade deal in the summer of 2014, the Kings inked Thomas to his current contract and flipped him to the mediocre Phoenix Suns. He played limited minutes in only half a season as a backup with Phoenix, a club overloaded with small, quick guards, before his new team unceremoniously shipped him to Boston. For the second time in his life, Thomas stepped onto a flight to New England with hopes of saving his basketball career. In 21 games as a reserve with Boston during his first season, Thomas averaged 19 points and 5.4 assists. By the next year, he’d fought his way into the starting lineup. To help sum up Thomas’s effectiveness last season, the refreshingly eggheaded Stevens points to usage rate (the percentage of a team’s possessions a player is involved in per 40 minutes) and assist-to-turnover ratio (the number of assists a player has for every turnover he commits). Only one NBA player with a usage rate as high as Thomas’s and at least six assists per game had a better assist-to-turnover ratio last season: perennial All-Star Russell Westbrook. Stevens calls Thomas’s numbers “off the charts” and makes a point to praise his ability to score late in games when it matters most. In his voice I hear a hint of disbelief, acknowledgment of the surreal nature of his current success. For one thing, Thomas’s Pizza Guys days are over. He now endorses Nike and Slim Jim. Over the summer, Thomas married his longtime girlfriend, Kayla Wallace, with their two sons, James and Jaiden, by their side. Yet Thomas is still trying to outrun the doubters and the nagging qualifiers that remain glued to his 5-foot-9 frame. A recent Globe story listing Thomas among Boston’s best undersize athletes seemed to bring the point home: The Mount Washington–size chip on his shoulder remains intact and rarely out of view. Almost on cue, this summer—in what’s become an off-season ritual during Ainge’s reign—NBA writers began slinging rumors of Ainge’s desire to deal for the kind of physically gifted superstar that someone Thomas’s size supposedly can never be. At this year’s draft, however, the man once nicknamed “Trader Danny” played it straight, using the third overall pick to select underhyped University of California freshman Jaylen Brown instead of dealing it away. When the selection was announced at the official Celtics draft party, disappointed fans hoping for a blockbuster trade booed. Ainge’s inaction may have upset die-hards jonesing for the Big Three 3.0, but it’s left the Celtics with something their rivals lust after: flexibility. Even after Boston signed All-Star center Al Horford to a four-year, $113 million deal, the team’s roster remains the third youngest in the NBA and includes few expensive long-term contracts.